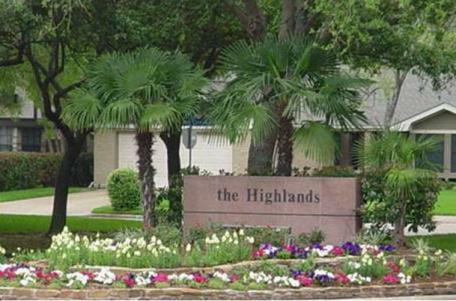 The Community Association of the Highlands is a community of just over 900 single family residences that call SugarLand, a part of Texas that Mother Nature has been kind to, home. The community offers a swimming pool, tennis courts, a playground and a clubhouse for the use of the residents. Born 37 years ago, the Highlands community is no stranger to Father Time; however, the board members work hard to ensure those wrinkles are eradicated. Completing this successfully is greatly due to the frugal prowess of the board. The treasurer heavily monitors the financial outlook and the budget is carefully evaluated each year. With a 98% collection rate for 2015, it is evident the homeowners are just as dedicated to preserving their values. Over the years, the association has received several facelifts to maintain a modern, fresh appearance. Currently the board is working on acquiring the votes needed to get a loan to give a facelift to the perimeter fencing. The board has been working diligently to complete the final phase of changing the remaining wood fencing to brick fencing. The new brick fence will keep the community in line with the surrounding communities which have completed similar upgrades. Additionally, this will add value to the homes in the community and lower the requirement for replacement funds as the brick walls have a longer sustainability than wood fences. The board is very eager to start this process and will continue to strive to meet the goals needed to see the fence project through to benefit all of the owners within the association. Several of the board members have proudly served the Highlands for several years and regardless of what Father Time has in store, most will continue to serve for many more to come. There are some great stories, some wonderful programs, some fantastic people to meet in these features, enjoy our past Community of the Month features. Click a column heading to sort the list by DATE –or– alphabetically by NAME. October 2018 S.A. Remington Heights Homeowners Association, Inc.
August 2018 Redland Ranch Estates Homeowners Association, Inc.
June 2018 Retablo Ranch Owners Association, Inc.
February 2018 Lochshire Maintenance Fund Inc.
January 2018 S.A. St. James Place Homeowners Association, Inc.
May 2017 The Woods at Fair Oaks Homeowners Association, Inc.
October 2015 Cedar Springs Homeowners Association, Inc.
May 2015 Eilan Condominium Association, Inc.
To view other communities we’ve featured in the past, select from the list on this page below. Board meetings are open to all owners. The meetings are announced on the community web pages with a date, time and place. And at least 72 hours in advance of the meeting, the agenda for the meeting is also posted. Copyright 2011-2019 C.I.A. Services Inc. All rights reserved.